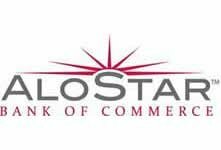 AloStar Bank of Commerce is back on the top of the 12 Month CD rates. Is AloStar becoming the next Melrose Credit Union? This online bank who is based in Birmingham, Alabama raised its 12 month CD rate from 1.18% up to 1.21% APY. This rate move causes AloStar to take the lead over Sallie Mae Bank who offers a rate of 1.20% APY with no minimum balance. To get the 1.21% rate from AloStar Bank of Commerce, you will need to deposit a minimum of $1,000. Since the middle of August there have been multiple rate changes, most of them have been cuts. Even AloStar had cut its interest rate on their 12 month CD by a tenth of a percentage point but now has increased their rate back to the top of the list. Sallie Mae Bank is the online bank of the student loan company pays 1.20% APY with no minimum deposit. MainStreet Bank, based out of Virginia but sells its CDs nationally through their (www.airbanking.com) website pays 1.16% APY with a minimum deposit of $500. Virtual Bank, the online bank of Sabadell United Bank out of Miami Florida offers 1.16% APY with a minimum deposit of $10,000. So far interest rates have continued their overall downward fall, but for how long? No one really knows when interest rates will increase. If you keep watching, some banks offer promotions which come and go as quickly as interest rates have been decreasing. Last year we watched iGoBanking offer some of the best interest rates on CDs and their promotions would only last 2-3 days at a time. Our CD rate table offers a look at some of the better CD rates on the market today. Be sure to check back often as rates can change at a moments notice. The 1 Year CD rate has dropped from 1.33% down to 1.26% in just 12 days. The previous top earner was from Bank of Internet, which is now tied in second place at 1.20%. E-Loan holds the top 12-month CD rate at 1.26% with a minimum deposit of $10,000. No other banks or financial institutions hold a rate close to E-Loan, as the next best 1 year CD goes to Sallie Mae, AuroraBank and Bank of Internet at 1.20%. Sallie Mae has no minimum deposit while both AuroraBank and Bank of Internet have a $1,000 minimum deposit. There is one bank – First Foundation Bank that holds a 1.27% interest rate on the 12 month CD, but the minimum deposit is out of reach for the average investor at $25,000. Some might argue that tying up this amount of money for 12 months can be risky as rates can go up at a moments notice, or vice versa, rates can drop in a moments notice. For instance just 12 days ago you could have had a 1.33% 12 month CD rate. E-Loan has an easy online application and has no fees to start. They also offer a compounded daily feature on their CDs. Sallie Mae is tied for second place at the highest 12 month CD of 1.20%. With Sallie Mae you have no minimum deposit and they compound your interest daily. AuroraBank and Bank of Internet also come in at 1.20% and both have a $1,000 minimum deposit. Both of these banks are rated 4 out of 5 stars with Bankrate, giving them a ‘sound’ rating. Sallie Mae and First Foundation Bank come in also at 4 out of 5 stars, while E-Loan has a 3 out of 5 star rating. Three stars means the bank is performing and usually is not an indicator of troubles. 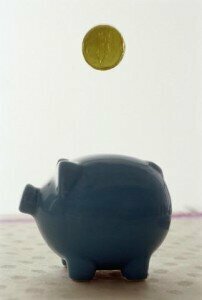 Be sure to check our up to date CD Rates table for more accurate interest rates. Rates can change on a daily basis. 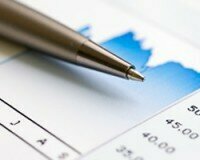 You may also want to consider that each term serves as a lock in period for the specific interest rate. If you wish to withdraw your money before your term is up, you will be charged a penalty and fees. Be sure to read the fine print on each Bank’s CD terms. If the bank has an auto renew feature, you could be locked into an extra term you did not really want. MetLife moves up to being the second best 12 month CD rate available with some stipulations. The top 12 month CD rate goes to Melrose Credit Union at 1.51% with a minimum deposit of $5,000, but closely behind Melrose is MetLife at 1.45% with a steep $25,000 minimum. MetLife’s top rate of 1.45% APY is definitely worth second place, but this online bank owned by the big insurance company requires a large investment to earn the 1.45%. If you invest less than $15,000 in their 1 Year CD, you will earn 1.00% APY and 1.35% APY for investments of $15,000-$24,999. Any investment above $25,000 will earn you the top rate of 1.45% for the 12 months. Melrose Credit Union still holds the top spot of the 12 month CDs at 1.51% APY, with a much smaller minimum deposit required. Bank of Internet at 1.41% APY with a minimum deposit of $1,000. This online bank is out of San Diego, CA. Sallie Mae Bank at 1.40% APY with no minimum deposit and is owned by the big student loan lender Sallie Mae. Ascencia at 1.40% APY with a minimum deposit of $500. This is an online division of PBI Bank in Louisville, KY.
All of these financial institutions have no restrictions on who can buy into their CDs. Melrose Credit Union allows anyone, anywhere to join by filling out an application and pay their $1 fee. CD rates are always adjusting, so be sure to compare and find the best CD rates from our database of banks and credit unions. Sallie Mae Bank also the lender of student loans is at the top for the best savings account at 1.40% APY. This is the same return that was offered to savers since last spring. All other major banks and institutions have been cutting their rates and offering less than Sallie’s 1.40%. Readysaver.com paid a nice 2.00% APY in March, down now to 1.35% APY. Bank of America only offers up to 0.35% on some of their savings accounts, much less than Sallie’s 1.40%. Even Ally who offers some of the better rates for their 12 month CD, currently paying 1.34%, offers a decent 1.24% savings account, much higher than big banks. 1.30% APY from Capital One Direct Bank. Requires a minimum deposit of $1,000 and has an added bonus of their InterestPlus Online Savings account which pays a 10% bonus on the interest you earn. 1.30% APY from American Express Bank. A stable bank owned by the major credit card company. 1.25% APY from Discover Bank. Requires a minimum of $500 and is also owned by the major credit card company, Discover Card. I think Melrose Credit Union just wants to lead in most of the CD rates as they just upped their 36 month CD rate to 2.27%, with a minimum deposit of $5,000. Danversbank from Boston was holding the top spot at 2.50% APY, but recently dropped their rate to 2.00% APY causing them to lose the highest CD rate on the market. Melrose Credit Union is out of New York and is open to all residents throughout the United State. They have a $1 joining fee which makes all of their certificates of deposit worth looking at. Since they hold the top spot for the 12 month, 36 month and 60 month CD rates, its worth a look at. Melrose is also close to leading in the 24 month CDs category also. 2.19% APY from Heritage Bank located in Phoenix and Tempe, Arizona. A minimum deposit of $5,000 is required. 2.15% APY from Sallie Mae Bank, has no minimum deposit and is owned by the big student loan lender. 2.08% APY from Bank of Internet, requires a minimum deposit of $1,000. 2.05% APY from USAA out of Texas, requires a minimum deposit of $1,000. All of these financial institutions take applications online and have no restrictions on who can apply. Be sure to check out our best nationally available CD rates. CD rates can change at any moment, so be sure to verify the current rates being offered. With CD rates continuing their fall over the past few months, the 12 month CD rate has stayed at 1.55%. Not all financial sites are promoting the highest 12 month CD rate which is from Sallie Mae Bank. If you go to their certificate of deposit section you will see their graph of how much they are paying for 12 months, 36 months and 60 months which are some of the highest rates we have seen. While most major banks and financial institutions are lowering their rates, the big student lender, Sallie Mae has stayed steady and now they are on top for the best 1 year CDs. In February 2010 the average 12 month CD rate was sitting around 0.77% APY and now in September, is sitting around a record low of 0.61%. NewDominion Bank – Paying 1.51% APY with a minimum deposit of $3,000. Ascencia – Paying 1.50% APY with a minimum deposit of $500. Bank of Interest USA – Paying 1.48% APY with a minimum deposit of $1,000. Giantbank.com – Paying 1.46% APY with a minimum deposit of $2,500. These banks are open to anyone within the U.S.
Be sure to compare our latest CD rates from our database of banks and other financial institutions. Not much changed over the weekend as this past Monday was Labor Day in the States. The same banking institutions from our September CD Rates post are still on the board. Melrose Credit Union is on the list because they allow anyone, anywhere to register for their Credit Union. The fee for joining is $1.00 and they have some of the nation’s highest CD rates. There have not been many changes to the top CD Rates in the past few months. Most banks have either lowered their short-term and long-term rates or stayed steady. Nothing has changed which can either mean one of two things. The US economy is holding steady or banks have mixed emotions on what will happen next. The Fed has stated they will step in and ‘do something’ if the US economy begins to falter. As long as the Fed keeps interest rates near zero percent, CD rates and mortgage rates will continue at their low levels. The only certificate of deposit that has moved the most in the past few weeks is the 2 year CD. 3 Month CD – 1.35% APY at iGobanking with a minimum deposit of $500. 6 Month CD – 1.25% APY at NewDominion Bank with a minimum deposit of $3,000. 12 Month CD – 1.55% APY at Sallie Mae Bank with no minimum deposit. 24 Month CD – 1.95% APY at NewDominion Bank with a minimum deposit of $3,000. 36 Month CD – 2.50% APY at Danversbank with a minimum deposit of $500. 60 Month CD – 3.03% APY at Melrose Credit Union with a minimum deposit of $5,000. The credit union listed in our leadership board is open to anyone in the U.S. regardless of where they live or work. Be sure to check our CD rates page for the most up to date rates. Some of the highest savings accounts are paying more than some of the best short term CDs at 1.50%. 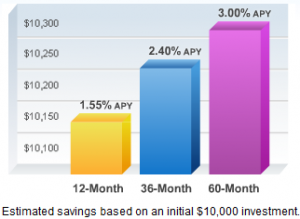 With Readysaver.com taking the top spot for the highest savings account rate, this knocks down many short term CD rates. The average 12 Month CD is sitting at 1.50% APY with many banks offering just under the 1.50% mark. The difference with saving account rates is their ability to go down at any time, they are variable based on the bank. Most CD rates are locked at the specific interest rate for the specified time and cannot go down within that time frame. 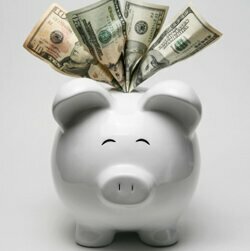 With a savings account your money is never locked up. You have no early withdrawal penalties and can take your money out at any time. You can always move your money to a more lucrative investment if one comes around, but for the time being it’s a good time to take advantage of these top savings accounts. 1.50% APY with a minimum deposit of $1 from Readysaver.com. Southern Community Bank and Trust operates the website. Sallie Mae Bank is offering 1.40% APY savings account with no minimum deposit. This is an online bank owned by the leader in student loans. NewDominon Bank is also offering 1.40% APY savings account with a minimum deposit of $1,500. NewDominon Bank is located in Charlotte and Mooresville, NC. They have a $10 monthly service fee for any savings account under $1,000. Capital One Bank is offering 1.35% APY with a minimum deposit of $1,000. They have 700 branches in New York, New Jersey, Connecticut, Louisiana and Texas. 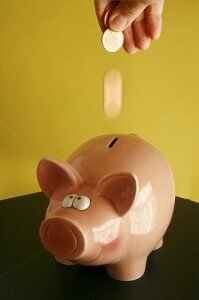 They have an InterestPlus Online Savings that also pays a 10% bonus on ‘interest earned’ for qualifying accounts. Discover Bank is also offering 1.35% APY with a minimum deposit of $500. Capture these returns or learn more about savings rates and CD rates from our database of CDs.